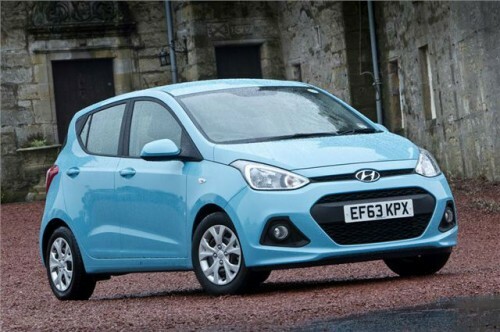 I am another proud owner of the latest version of the Hyundai i10. This small city car is just perfect for me. It has a 1.25 l engine with 87 horsepower and manual gears which reduce the fuel consumption greatly. Combined, it is just above 5l/100km, while in heavy city traffic it is about 7l/100km. Even though the engine is small, it is surprisingly crispy. The car reaches 100km/h in about 13 seconds and has the top speed of 175km/h. Most importantly, it is very easy to speed up during city overtakes. I love the fact that it has 14-inch tires. They make it reasonably comfortable and they are very cheap. Driving the i10 for the first time was a surprisingly pleasant experience. It is a very small car with short wheelbase and also very lightweight, which makes it very easy to maneuver. This steering is very straightforward and direct. That multifunctional steering wheel is a great thing as well. The interior is also of a surprisingly good quality. The car is very small but there is enough room in the front and, having in mind its size, reasonably enough at the back. To be honest, I can’t really think of any really bad things. 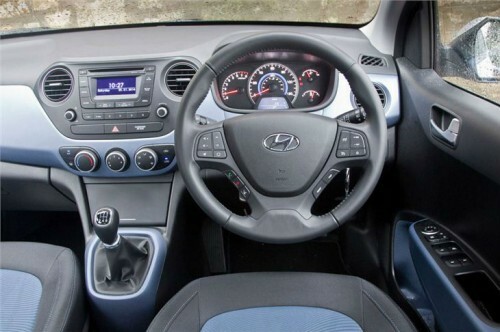 The only two might be that the i10 is not very stylish, and that it is definitely not for longer travels for the passengers in the rear seat. However, this is not meant to be a long-distance car. It is a city ride and perfect as just that.